James (Jim) Wyse was born in 1938 in Toronto where he grew up. He studied Structural Engineering at U of T, and after a 4-year period of bridge building with Ontario Highways, went on to study business at the University of Western Ontario’s Ivey Business School in London where he earned an MBA. After 2 years in Ottawa selling nuclear products internationally with Atomic Energy Canada Ltd, Jim and his family moved to Vancouver in 1968 where Jim worked as a business management consultant for 4 years. After a brief 18-month hiatus back in Ottawa managing a local ski area through a temporary crisis, Jim returned to Vancouver to start up his own development company in 1973. Over the next 25 years, Jim’s primary business was to re-develop inner city properties into condominiums throughout the lower mainland, Oklahoma City, Denver and Whistler. 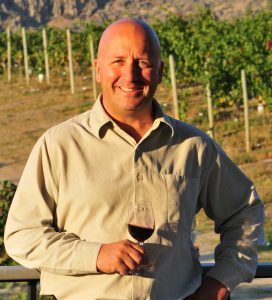 While cleaning up one such development project in Vernon in 1993, Jim was introduced to some relatively inexpensive and abandoned vineyard land south of Oliver that was then being offered for sale. This property became the first 100 acres for Burrowing Owl Vineyards. Knowing relatively nothing about the grape and wine industry, Jim found good, experienced people to run the vineyard and eventually to make and market the wine. In his own words, his job was to monitor the costs, arrange the financing, write the cheques and make sure that all of this activity was making sense from a business point of view. 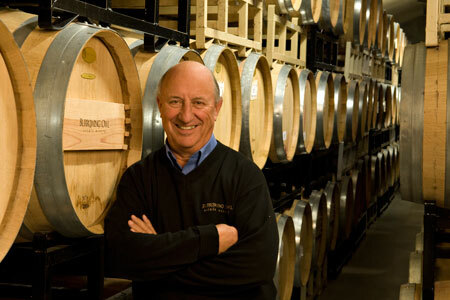 Jim Wyse was the first President of the Burrowing Owl group of companies, but his son Chris is now the winery President as Jim heads towards retirement. However Jim remains Chairman of the Board and will always be the “Founder” (an unofficial position). On a personal note, Jim enjoys old-timers hockey and jazz piano, both of which he still plays with enthusiasm. Midge and Jim are still involved at the winery and surprisingly, their three children have been drawn into the wine industry as well. Following them there are four grand-children coming up through the ranks, and they will be generation number three… Jim hopes! Chris Wyse joined the family business in 2006 and assumed the President’s role in 2007. As the oldest son of founders Jim and Midge Wyse, Chris came to the business with a well-informed understanding of the history that preceeded him and the challenges that face him. He also shares the family’s passion for excellence and their proficiency in generating it in others. Chris brings astute business skills to the company with a degree in entrepreneurial business management and a career in real estate that included development analysis and mortgage finance. Chris always manages to find opportunity doing the things that he loves. His years abroad were spent working in the ski and photography industries and it was in this milieu that he developed a love of travel, good wines and an appreciation for the people who produce them. His management style evolves from his parents’ philosophy of focusing on people and a sustainable stewardship of the land. He embraces the traditional culture of winemaking with his sights set always on the support of technical innovation.